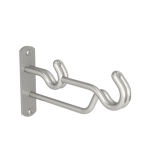 Technically excellent while individually forged by hand from solid wire, Steel brackets represent all that is best about the hand making tradition. 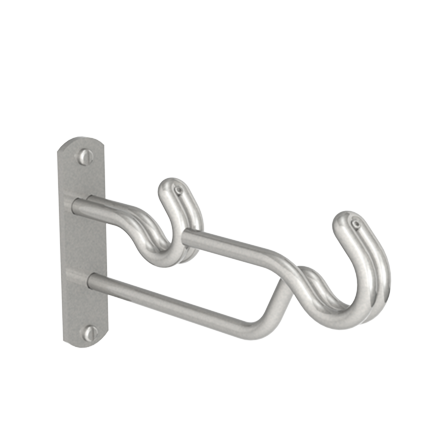 As load-bearing side brackets, this style has a vertical back plate which gives mechanical advantage versus the sheer forces of heavyweight curtains, while the brackets are forged in steel and welded for maximum strength. The double arrangement of the bracket provides for a larger front pole for feature drapes and a smaller pole to the rear for sheers or voiles.